Observe Protest Week between 25 and 31 January 2019 against the ‘Samadhan’ counter-revolutionary offensive! Make successful the daylong Bharat Bandh on 31 January 2019! Modi government had announced the launching of ‘Samadhan’ counter-revolutionary plan in a meeting chaired by Union Home Minister Rajnath Singh on 8 May last year in the presence of Chief Ministers, top bureaucrats, police, paramilitary and intelligence officers of the ‘Maoist-affected’ states of the country. 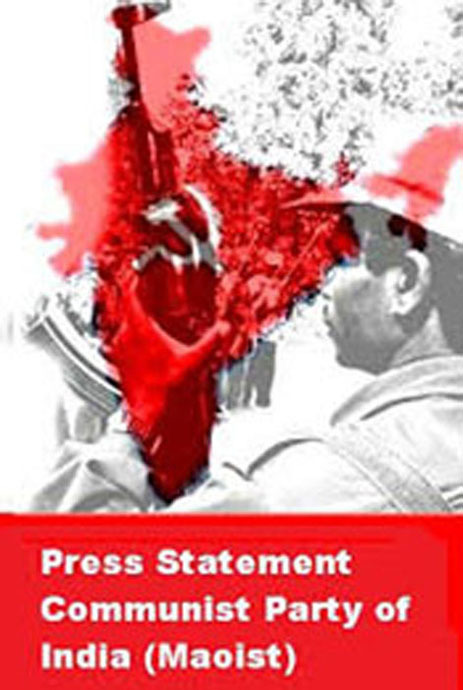 This plan was launched in the wake of a number of counter-offensive actions carried out by the PLGA with the participation of the masses, particularly after the Burkapal attack of 24 April in Sukma district of Chhattisgarh that year against Operation Green Hunt (OGH). August 2009 by the Congress-led UPA government and the beginning of a new and more aggressive counterrevolutionary campaign under the present dispensation of BJP-led NDA government. Be it the failed OGH or the ongoing ‘Samadhan’ plan, both are conducted by India’s feudal-comprador ruling classes under the guidance of the imperialists – particularly US imperialism – with the aim of completely wiping out the revolutionary movement in the country. 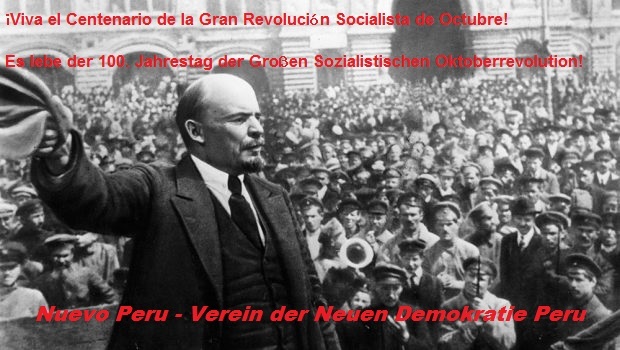 OGH, which was conducted in three phases, failed due to the united resistance of the guerrilla army, revolutionary people’s committees, revolutionary mass organisations and the revolutionary masses led by CPI(Maoist) with the support of the country’s democratic forces and the solidarity of the international proletarian, democratic and people’s forces. The failure of OGH is a great victory for the united people’s resistance against the reactionary ruling classes. Failing to uproot the Maoist movement through OGH even after more than eight years of cruel war on people, the Brahmanical Hindu-fascist forces led by Modi-Shah-Bhagwat ruling clique has been running ‘Samadhan’ campaign for the last one and a half years in a fascist manner. It is being conducted not only in the rural areas under our Guerrilla Zones and Red Resistance Areas but also in the urban areas under the garb of crushing ‘urban Naxals’. While OGH was an undeclared war on people, ‘Samadhan’ is a declared war not only against the Maoist revolutionary movement but also against all the democratic, progressive and patriotic movements, organisations and individuals representing the exploited and oppressed people of the country. ‘Samadhan’ offensive is in continuation of the campaigns and operations that have been launched by the Indian ruling classes on the country’s revolutionary movement, be it Operation Manthan in the 1980, Jan Jagran Abhiyan 1 (1991-92) and 2 (1997-98), Salwa Judum (2005-2009), Sendra, etc. The revolutionary camp also had to confront and defeat state-sponsored terrorist gangs like Ranveer Sena, Shanti Committee, Harmad Bahini, Bhairab Bahini, TPC, JPC, PLFI, etc. in the course of sustaining and advancing the revolutionary movement. Among the past counter-revolutionary operations, OGH and ‘Samadhan’ have been long-term campaigns with the direct participation of the state, while others were short-term state-sponsored operations in which ruling-class elements such as feudal forces, reactionaries, bad gentry, etc. were kept at the forefront. If we look at the history of these counter-revolutionary campaigns, it becomes apparent that their duration is becoming more prolonged and the method of their execution more aggressive, cruel and fascist. ‘Samadhan’ as an integral part of the all-round Brahmanical Hindu-fascist assault on all classes, sections and people of the country and in pursuance of the Hindutva agenda of transforming the country into a ‘Hindu Rashtra’ by 2022 under the signboard of ‘New India’. Fascination of the state and the society is the method the Indian ruling classes backed by the imperialists have chosen to overcome the grave economic and political crises besetting them as well as the capitalist world system at present. The ruling classes throughout the world are resorting to fascism and depending on the fascist forces to crush the growing disaffection and resistance among the masses against their anti-people policies. The regressive Hindutva forces led by Modi-Shah-Bhagawat clique ruling the country too are a part of this. To divert the attention of the masses from the real and burning issues faced by the vast majority of the people like poverty, hunger, unemployment, lack of basic facilities like medicines, education, drinking and irrigation water, shelter, skyrocketing price rise, agrarian crisis, atrocities on Dalits, Adivasis, Muslims and women, etc., these forces are bringing to the fore irrelevant and contentious issues like Ram temple, triple talaq, etc. They are presenting Muslims, ‘Islamic terrorists’, Maoists, Pakistan, etc. as threats to the country. Whipping up rabid ultra-nationalism, pseudo-patriotism, warmongering and communal passion, the saffron-terrorists are trying to secure their hold over state power and crush all forms of opposition including parliamentary opposition. In this way, they are trying to further strengthen and consolidate the dictatorship of the ruling classes and imperialism over the country and its people. It is the demand of our times that all the revolutionary, democratic, secular, progressive and patriotic forces of the country and all sections of the oppressed masses must come together today to squarely take on the challenge posed by the Brahmanical Hindu-fascist forces and their governments. We must unite and resolutely fight back the Hindutva offensive ideologically, politically, militarily and culturally and in all forms, including ‘Samadhan’ and ‘New India’! We must resist and defeat the saffron fascists on all fronts by intensifying the anti-imperialist, anti-feudal and anti-fascist people’s struggles throughout the country. It is with this objective that our Party is calling upon the entire revolutionary-democratic camp and the vast masses of the country to successfully observe a week of protest against ‘Samadhan’ offensive of the ruling classes and the Hindutva ruling-clique from 25 to 31 January 2019 and to observe Bharat Bandh on 31 January 2019. We call upon the rank and file of the Party, PLGA, revolutionary mass organisations and organs of people’s democratic power to take up various programmes by involving the masses to make successful the Protest Week and the day-long Bandh. Let us unite to resolutely resist and smash the ‘Samadhan’ assault just as the united people had done with Jan Jagaran, Salwa Judum, Sendra, OGH and other fascist ruling-class offensives in the past! NewEpoch Media: VENEZUELA - Yankees go Home!